BUCKLE UP AND GRAB YOUR BOARDIES – IT’S SUNDAY SURFDAY! On Sunday, February 25th BBSF is setting its compass to Australia’s most easterly point... the tropo-dreamy shores of Wategos Beach, for a froth-filled day of sun, surf and salt water for the entire family! Once again, this year’s Freestyle & Stoke surf sessions will feature some of surfing’s best and most eccentric sliders, brand new progressive wave-riding categories, and for the second consecutive year, BBSF will host one of last years crowd favourites…the McTavish Trim!! Our Freestyle & Stoke categories are progressively one-of-a-kind, with a strong focus on artistic interpretation and style. These non-competitive events are decided by peer vote, with advantage awarded to those presenting their surfing with style, wave and equipment adaptability, flare and freestyling fun during each session! Invites are sent out for most sessions and fill quite fast. If an invitee doesn't show on the day, that invite goes open to the beach. So be ready!! Registrations open on the beach at 7:00am with the first session kicking off at 8:00 am sharp! The art of bodysurfing serves as an essential piece to the learning curve of becoming a great all-around water man/woman. Watch as these sliders of the sea throw one arm forward and show us how to truly and intimately connect with the power of the ocean. Riding the natural fibre of wood will connect you closer to the roots of stand up surfboard riding than any man made material. Basically the surfboard is resourced straight from the ground, is sustainable in effect, strong, and looks beautiful. Bring your own, or if you're lucky enough, there may be one at Wattys you can test! The trim is a unique surfing event whereby the longest distance surfed is the goal for each of the 18 invited trimmers. Surfboards must be over 10 feet in length, requiring a significant amount of skill and panache to surf. The only time you can ever say that BBSF has gone soft… Foamies only. Every other category has 12 surfers, but this one... this one we want 20! Shared waves, sit down, stand up, fall down, slide - come do it!! BBSF Premiere event. Invite only. Modern or classic log 9ft+. Single fin only! 2 peeps on 1 wave. It could be your lover or your besty, your Mum or your bro. It don't matter who really, it's about sharing da wave! It's gonna be fun to do, and fun to watch! 1:00 – 1:45 pm: Festival Party Wave!! Open to one and all! Register before noon to join in the fun! 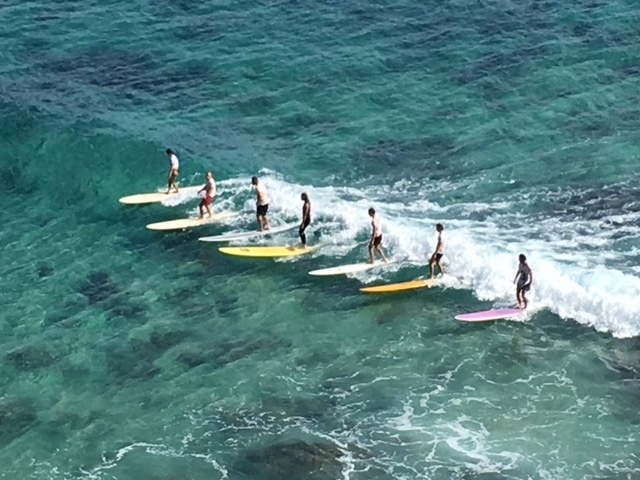 ALL SURFERS ON ONE WAVE TO THE BEACH!! AND DON”T FORGET YA BELLY! The Byron Bay Mal Club will be out there early firing up the barbie for both brekkie and lunch, between 8am-2pm. All proceeds will be going to support the Mal Club so make sure to come hungry, and leave stoked! That’s right guys, for the 2nd consecutive year, the legend himself, Bob McTavish, will be holding his famed event right here in his own backyard! BBSF is once again super stoked to be hosting the McTavish Trim at the 2018 Freestyle & Stoke surf sessions. Last year's event saw surfers compete on boards 10ft+, with the winner determined by whoever slides their craft furthest up the beach, and only in the finest trimming style, of course. “What an unbelievable day. Being here at the festival reminds us all just how much fun surfing together can be. We are all larking about in the waves laughing, sliding, cheering and catching up with friends from far and wide. 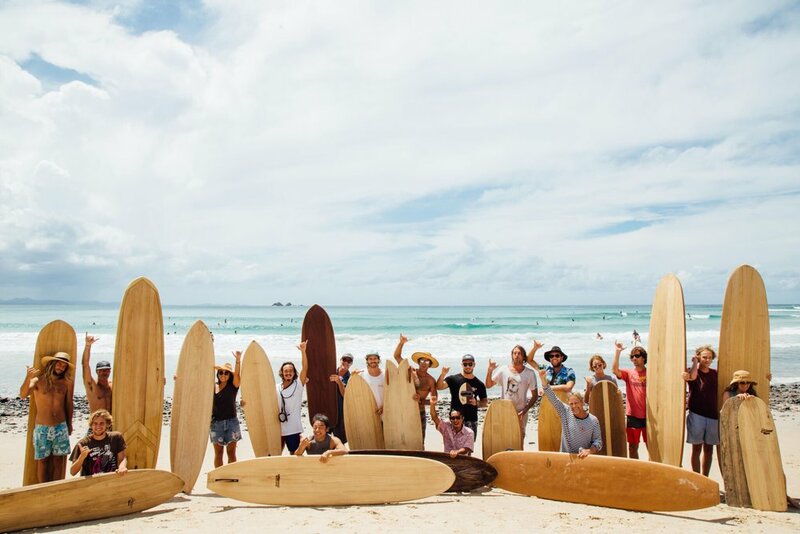 We are so thrilled to be a part of the Byron Bay Surf Festival. It’s bringing together the surf community, old and new and it’s just fantastic!” – Bob McTavish, 2017. Stay tuned for the release of the complete list of 2018 trimmers at McTAVISH Surf. The sun & stoke all day will leave you thirsty and ready to party. Get yourself a couple of cold ones from Stone & Wood at the Beach Hotel and enjoy Live Music with The Beautiful Girls from 5pm!! After a long and epic weekend full of art shows, films, markets, live music, parties, surfing and so much more, it’s about that time we set our sights to the sea and hit the beach in full BBSF form. Sunday’s festivities mark the final HOORAH for all surfers, shapers and beach lovers celebrating surf culture and community all weekend long. So lock in the date - Sunday, February 25th, ‘cause this is one event you certainly don’t want to miss!! Yewww! Check out our rad feature in The Echo!